Inbox processing with Insiders DigitalMailroom. The process-oriented incoming mail processing digitizes, classifies and assigns the documents not only to the right employees, but with the right processes for all input channels a high degree of automation and the discharge of routine work. Collection and processing of incoming invoices. With automated recognition, comparison with your ERP system, position splitting, billing book, cash discount and deadline recognition up to dark booking. 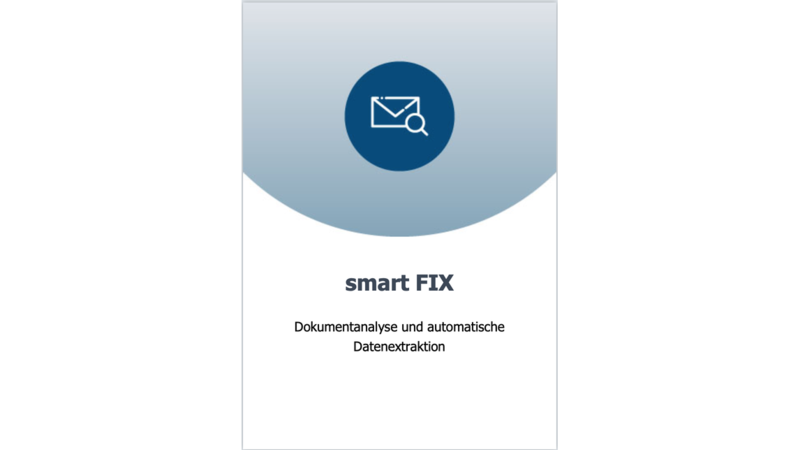 With the help of SMART FIX, business processes can be significantly optimized and costs in the company can be reduced in a very short time.